Bran coucou is the full-length endeavour made by this trio-plus-quartet, and it slaps like nothing else. As it is basically a double band playing as one, a sort of musical conjoined twins, Piniol boasts two drummers, two bassists, two guitarists, and one keyboard player. Six of the seven participants contribute vocal duties, and only one person comes out of seemingly nowhere: drummer Jean Joly, apparently filling in for Ni’s Nicolas Bernollin. This is a daunting lineup, and I can only imagine how difficult it is to manage such a multi-headed beast, with each its own wills and ideas. Yet, however, against all odds, the Piniol chimera was successful. The music here is highly polyrhythmic, reminding me of what a progressive rock version of Bisbâyé would sound like. This is, I suppose, the basic principle behind such legendary musicians as King Crimson, yet Piniol aren’t so stale and humble as them. It’s hardly fair to compare the two bands however, since fifty years separate their respective inceptions. 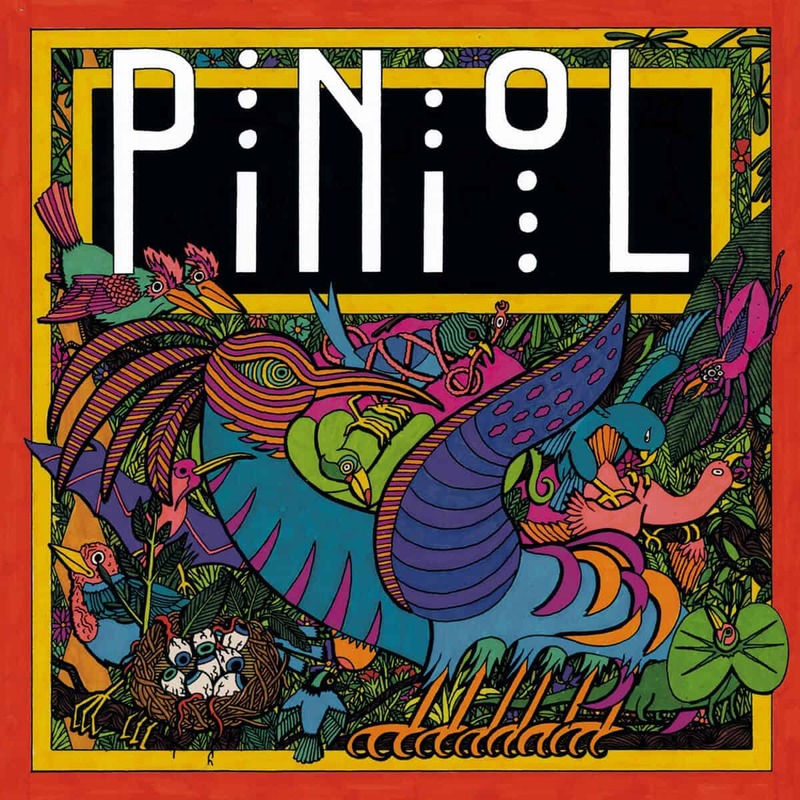 In other words, Piniol is today’s King Crimson: technically proficient, creative, adventurous, but it also adds that certain je ne sais quoi that makes most French prog stand out. Don’t shy away from this full acoustic attack. If you’re unsettled by it, that’s just Piniol working their magic. Tell yourself that it’s not as instantly rebuking as one of their building blocks, Poil’s deranging prog. Seriously, albums like Brossaklitt and Dins o cuol can’t have been thought by humans. On the other hand, Ni’s output has been somewhat more accessible, but they always have been eccentric and impressive too. Their collaborative work, the almighty Piniol, draws the best out of the two groups. Bran coucou is for everyone, forever; always listen to this. And here is me unboxing this glorious CD!